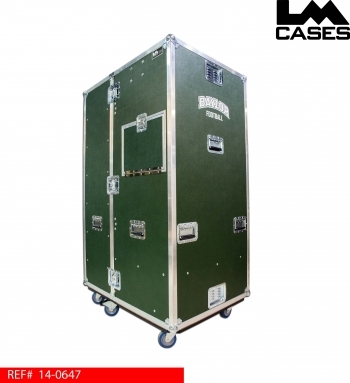 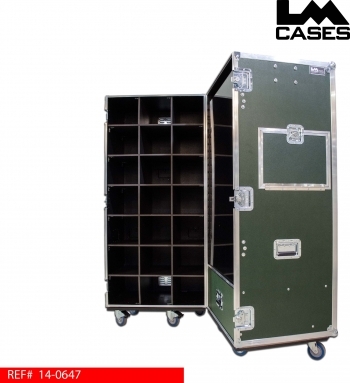 This trunk was designed for Baylor University as a mobile storage solution for their coaches. 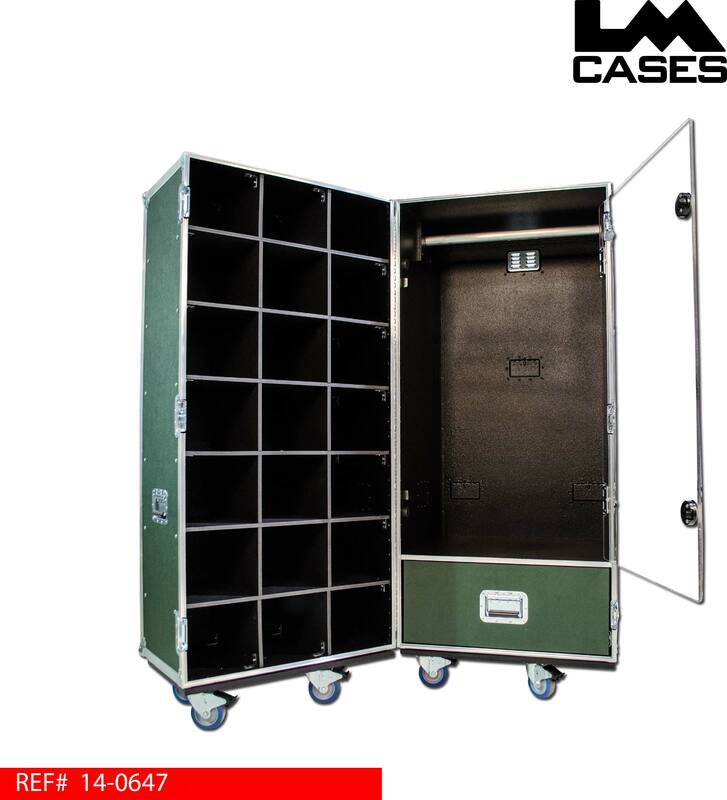 The trunk features 21 cubbie compartments designed to hold folded clean clothes, a large hanging clothes section with a trap door and a storage drawer. The cubbie section of the case is black texture coated and features dividers built out of 1/2" marine grade plastic. The hanging clothes section is also black texture coated and features a trap door allowing coaches to throw dirty laundry in the side of the trunk with out the trunk being fully opened. 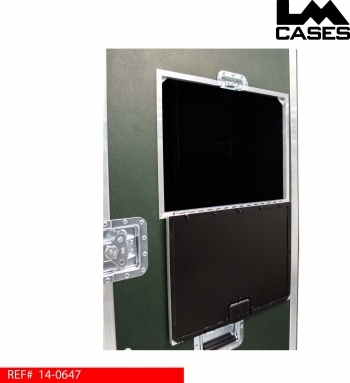 The hanging clothes section is separated from the rest of the case by a clear 3/8" Lexan door. 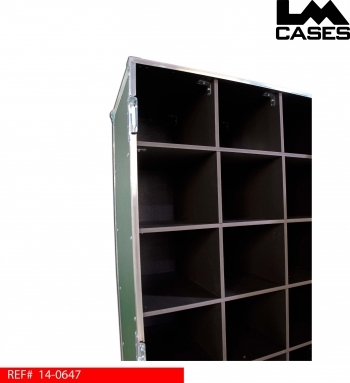 A storage drawer for socks and underwear is located under the hanging clothes section. The drawer is made out of 1/2" Baltic Birch, mounted on heavy duty Accuride drawer glides and finished with black texture coating. 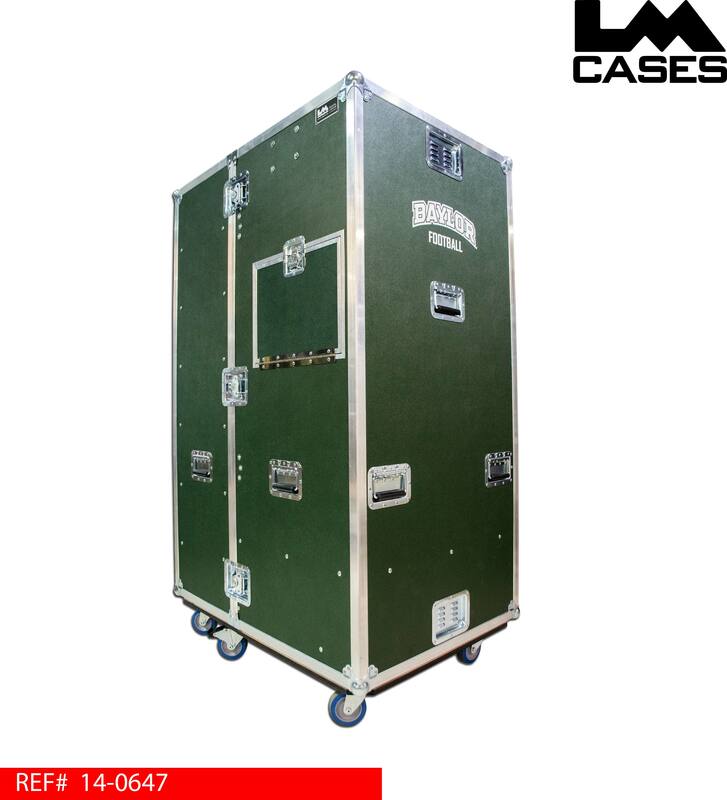 The exterior is built from 3/8" plywood laminated with forrest green ABS plastic and features a custom silkscreen of the Baylor logo. The trunk also features 4" Colson casters (4 locking + 4 non) and deep recessed hardware.